I love books. Always have. I’ve devoured so many of them and have learned so much. I’m guessing if you’re reading this right now that you feel the same way. But every now and then you come across a book that’s truly special. And it’s not necessarily because it’s super entertaining, popular, or even your favorite book. It’s because it changes you. You don’t ever look at that issue the same way again. You make different decisions because of what you read. You keep thinking about it and mulling it over. The book literally changes your life. As I think back, there are a handful of books that have done just that. Let’s take them in chronological order…. 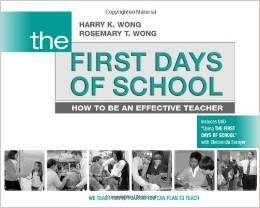 The First Days of School by Harry & Rosemary Wong: I say this book changed my life because it pretty much saved my sanity as a young teacher. I’ve read it numerous times, but it was most helpful between my first and second years of teaching. It shaped much of my classroom management strategy, and wow, did that 2nd year go so much better! Rich Dad, Poor Dad by Robert Kiyosaki: My parents did a great job teaching me common-sense money management skills. My husband and I started our marriage with no debt, were committed to spending less than we made, and prioritized saving. But this book opened my eyes to a whole different world: a world where instead of focusing on spending less, you could focus on making more. Something changed when I read this book, and I could never look at finances the same way again. This sparked my interest in developing passive income, which, after many meandering and not-so-successful ideas, eventually led to Create Your Dream Classroom & Teach 4 the Heart. The 7 Habits of Highly Effective People by Stephen Covey: Believe it or not, I’ve never actually read this book. So how could it change my life? Because my principal Bill Blankschaen talked about these habits so much that they became part of the way I think. If you’re not familiar with them, I highly recommend you check out this famous book. And I’ll take my own advice and try to get to it sometime soon, too. 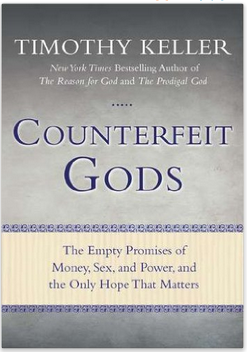 Counterfeit Gods by Timothy Keller: This book came to me just at the right time – when I was pregnant with my son and about to take a prolonged break from teaching. I was pretty upset about not teaching anymore, and this book helped me see this for what it was – an idol, a counterfeit god in my life. I was finding my identity in being a teacher instead of finding it in God. What a relief to give it up to God and find my peace in Him. (And what a joy to see Him give education back to me through this blog.) Click here for more thoughts about how good things can become idols. 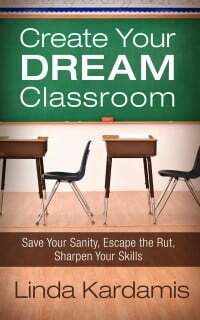 Create Your Dream Classroom by Linda Kardamis (me): Okay, so this book didn’t change my life because I read it, but when I was thinking about books that have changed my life, I couldn’t leave this off the list because it absolutely 100% did change my life. I remember distinctly when God gave me the idea to write this book. It came out of left field & I just knew it wasn’t my idea. I wrote it and figured that was that, but it was really just the beginning. In an effort to market the book I started Teach 4 the Heart, which grew and became much bigger than the book itself. I am so thankful God set me on this path and am incredibly excited to see where He will take us next. 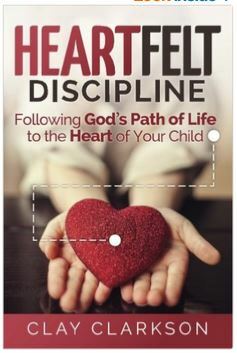 Heartfelt Discipline by Clay Clarkson: A fantastic parenting book, Heartfelt Discipline is all about what the title implies: reaching the heart. (In fact, I think I might’ve just read this book when I named Teach 4 the Heart.) This book helped me realize that parenting has to be about connecting with our children – about nurturing, training, and discipling their hearts and leading them to their own strong relationship with Christ, not about just getting them to do what we say. 7: An Experimental Mutiny Against Excess by Jen Hatmaker. I didn’t agree with every word in this book, but it sure made me think, and it broke something loose in my mind. We are all so captivated by stuff, but this book opened my eyes to how insignificant it all really is. It made me want to give stuff away, to be more generous, to not care if I have everything that my Facebook friends do. It helped me see how truly blessed I am and how little of all these things I actually need. And I suspect God’s not done working in me about this area yet either. 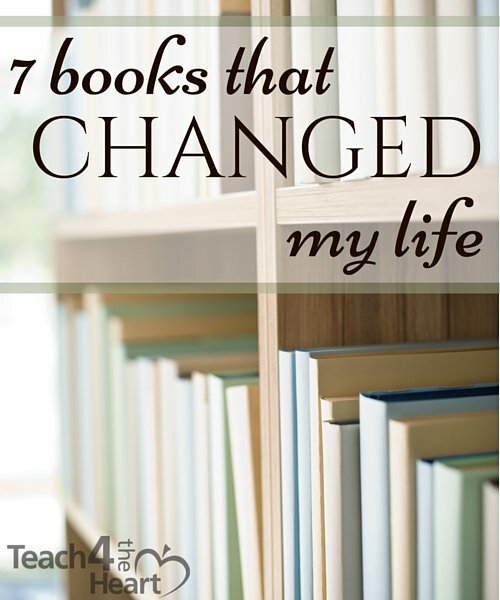 So what about you – what books have changed your life? Share your favorites in the comments below. *Links may be monetized, meaning I receive a small commission from any purchases you make through the links to Amazon. This helps support Teach 4 the Heart. If you do not wish to use the monetized link, you can simply search for the title of the book. Thank you. I have four of the books and I plan to get some of the others. Logotherapy by Victor Frankl and Spiritual Roots of Human Relations by Stephen Covey are two others. I am looking forward to your ideas and enthusiasm. Here are 3 amazing books that I truly appreciate: The Circle Maker by Mark Batterson, Mere Christianity by C. S. Lewis, and Miracles by Eric Metaxas. Enjoy!